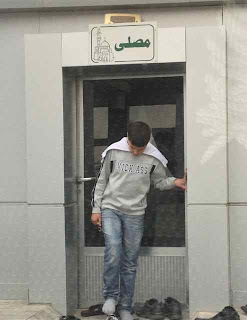 GAYography Blog - gAytlas.com: Gay-Ok in Jordan? In February, I joined my partner in adventures (read debauchery) abroad, Derek, in Amman - thanks to the USG I stayed with him (for a discounted rate) at the 5-star Hyatt (with exquisite daily brunches). Amman is a stable, safe - albeit boring - Middle Eastern city (think call to prayer plus Friday-Saturday weekends), but forgive Amman for being a bit tepid since its been around for, I donno, like 5,000 years! There is a great Roman amphitheater that's a fun place to people watch and get harassed by loitering groups of Jordanian teens. 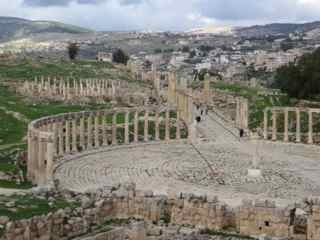 The 2,000 year old theater is just down the hill from the Citadel that has ruins dating back more than a millennia - so those are the main sights of Amman. The busiest markets are nearby as well - so you can pretty much "do" Amman in a day. One week was barely enough to dig into gay life here - but it exists if you know where to go - and of course if you know Arabic, you're golden. The one place where it's ok to be gay is Books Cafe. Protected by a bookstore and discerning security, this "bohemian" cafe is no different socially than your HK gay bar (with a bit more excitement). Be sure to go to the back bar (straights are in the front). It's the gay Jordanian sanctuary - no other real place exists for LGBT people to socialize. 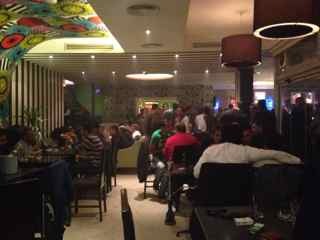 They are still there smoking hookah and hanging out with friends (like typical Jordanians) - but nearly all of these guys are not out to their families, nor few, if any, other straight people in their lives. Apparently, there are gay-ish nights at some of the clubs - and one club is called "G" - so there are likely other outlets, but Grindr and other social gay networks online are definitely the place to actually make a friend (if you're too shy to pick up a guy at Books). Although there are not a million things to do in Amman (besides the cute, scruffy guys) there are many incredible & historic places to see in Jordan. This recently uncovered - and partially reconstructed - ancient city offers incredible views and perspecitve on Roman times. Don't miss it! It's not even an hour north of Amman (and I met a friend who was willing to take me up). 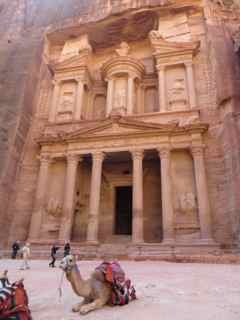 2) Petra - One of the now-reconfirmed 7 wonders of the world, these magnificent dwellings carved out of the rock - and made famous by Indiana Jones' last crusade - are definitely on the bucket list! You will want to spend 2 days to do it right (there is a lot to see!). 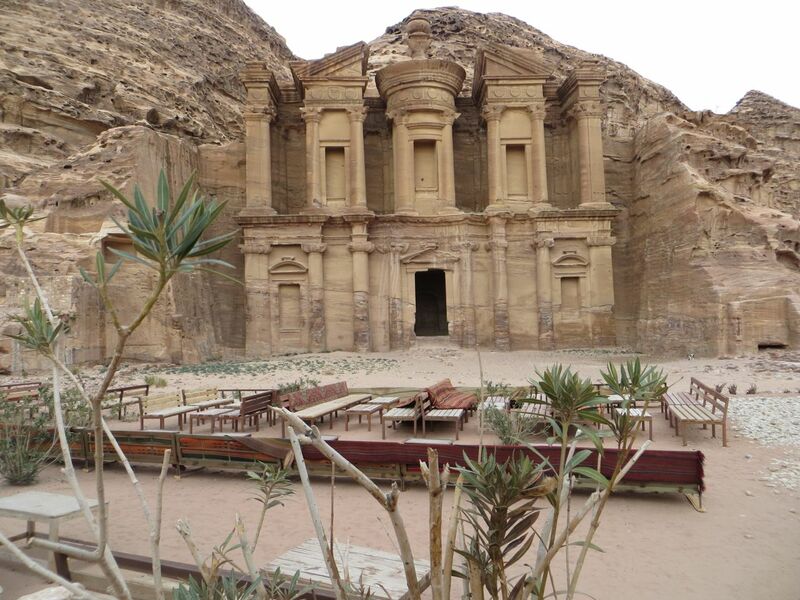 The Nabataeans were definitely smarter -- why move rock around when you can just carve into the mountains. Be sure to climb the mountains beyond The Treasury (to the right) to get the best view of this famous place. The hike up to the Monastery is also well worth the trek (these are both climbs that will take some hours). 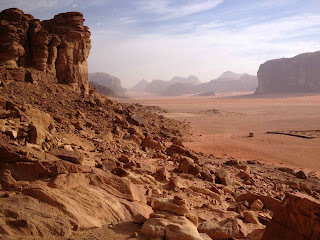 3) Wadi Rum Desert - You will fell like you're in a movie - or maybe on the moon? There's nothing like sleeping under the stars with the Bedouin and waking up to a beautiful sunrise in this expansive, barren, but beautiful place. Take - at the least - a four hour 4x4 ride all over - and then tempt fate by setting out on foot for a bit. You'll find distances are much farther than you imagined. 4) Dead Sea - Everyone needs a picture of themselves floating in the sodium-rich waters of this ancient body of water. You can also cover yourself in the mud - but don't forget sun screen (if you're as white as me). Finally I just had to include this picture I took on my taxi ride back from the desert to Amman (the driver got out to pray, which was the first instance I found of people around me taking time out! ).